A few weeks ago I put out a question on Twitter not really expecting an answer, to be honest. It was asking what piece of Star Wars music do you most relate to as a person. There are plenty of things about the Star Wars saga that people resonate with. Everything from the characters on both sides to the life lessons of love, pain, and redemption. One thing that seems to not get brought up as often, if ever at all, is how the music can be just as important in that conversation. I have a musical taste that most would consider “extreme.” The majority of things I listen to fall along the heavy metal spectrum, most commonly in the realm of death metal. It’s fast, loud, heavy – not only musically but lyrically as well – and incredibly complex. It takes a level of focus to listen and garner full awareness of what you are listening to and that can be said about the Star Wars scores too. 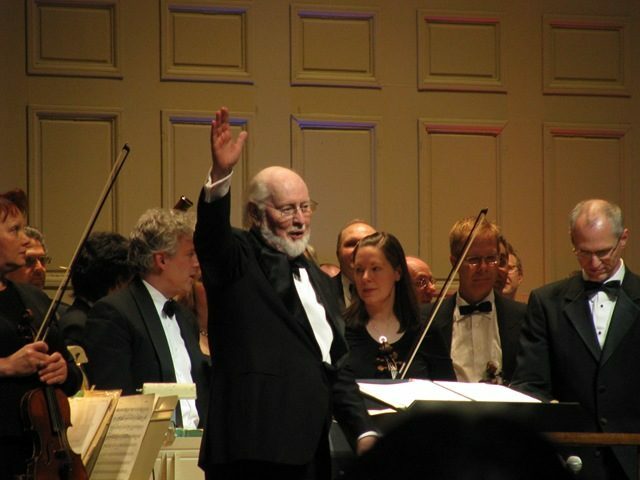 The work John Williams, Kevin Kiner, and most recently Michael Giacchino, have accomplished with the ‘Oxygen’ of Star Wars will go down in history. But why do I like it so much? And why is it that important? Unsurprisingly, most of the themes and tracks that I connect with from Star Wars happen to fall in line with either the Empire or the dark side. With such a focus on the Empire in Rogue One, a lot of the tracks in that soundtrack hit me close. “Hope” is a track that is just about as “metal” as you can get with Star Wars. Not only does it perfectly match the scene that is taking place in the film but it exudes an aura of power and despair that is asymmetrical from its title. I tend to consider myself to be a more severe person than most. I tend not to show it outwardly but I put the most pressure and scrutiny on myself as opposed to seeing it from others. With “Hope,” the strongest part of the track for me is the haunting chorus and booming horns. Michael Giacchino definitely hit it out of the park with this one. I don’t think I could’ve made it through this without mentioning “The Imperial March” either. Is there another track or theme that can feel so powerful? It has a weight and gravity to it that is unmatched. The theme itself can be found peppered throughout Star Wars scores from the movies to the television shows to even the audio books. There is just something about it that pushes me forward. Much like “Hope,” it is able to invoke a sense of invincibility when listening to it. The innate strength of it is fortifying even when you wouldn’t think so. I often find myself humming it occasionally when I’m at work while wondering if my co-workers even realize it. I can definitely confirm it is a good motivator for trying to get something done. So what about you? Do you have any Star Wars tracks or themes that you feel best capture you personally? There is a wealth of material to choose from for every kind of taste out there. Leave a comment below or you can email with your thoughts. The music always has been an integral part of Star Wars — right from the very beginning. Can anyone say otherwise? The story and its themes give us something to talk about (which we’ve been doing for decades 😉 ), but it is the music that moves us. No doubt about it. As you so astutely pointed out. Ahh I have just dropped in to CwK as I am taking a break from learning a new piece of music for piano exam! It degenerated into DUN DUN DUN DUN-DA DUN…. Has to be a favourite. To choose an all time favourite is pretty tough as for me it greatly depends on mood. On the light side it has to be Binary Sunsets as it is one of the most beautiful and emotive pieces for me personally. So I agree with you, Melinda that all the Force themes are touching, probably for the same reason. I also love Across the Stars and just adore Your Father would be proud from Rogue 1. I must also say that I love the Lightsabre duel from Return of the Jedi. Ahhhh and then there is the Force Awakens Trailer music. Was that not something else?! We are so fortunate to have all these wonderful scores which cover all the range of emotions. I too listen to Nirvana, Nine Inch Nails and Sisters of Mercy from time to time to time and do agree with the comment about Rogue 1’s Hope. Masterful.